#105 1330 15 AV SW, Calgary, Alberta | MLS® # C4210142 | Real Estate Professionals Inc. Excellent office space with one full office and several dividing walls creating distinct work areas. On 2nd floor of Wellington Square. providing great exposure to 14th Street S.W. Close to 17th. 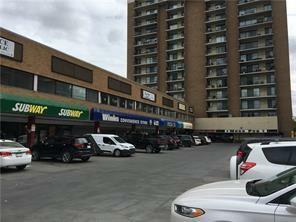 Avenue shops and an easy walk to the LRT and the downtown core. More convenient, less congested and LESS expensive than downtown.